The current Next Gen Sequencing lab project at the Botanics involves looking at the phylogeny of Polytrichum section Polytrichum, using hybrid capture. Polytrichum commune – illustration from the BBS Mosses and Liverworts of Britain and Ireland Field Guide. Photographs by Sean Edwards, Des Callaghan, Gordon Rothero and David Genney. The work will form part of Sri Lankan student Isuru Kariyawasam’s PhD research. Isuru’s project is supervised by Dr Neil Bell and Dr Catherine Kidner. 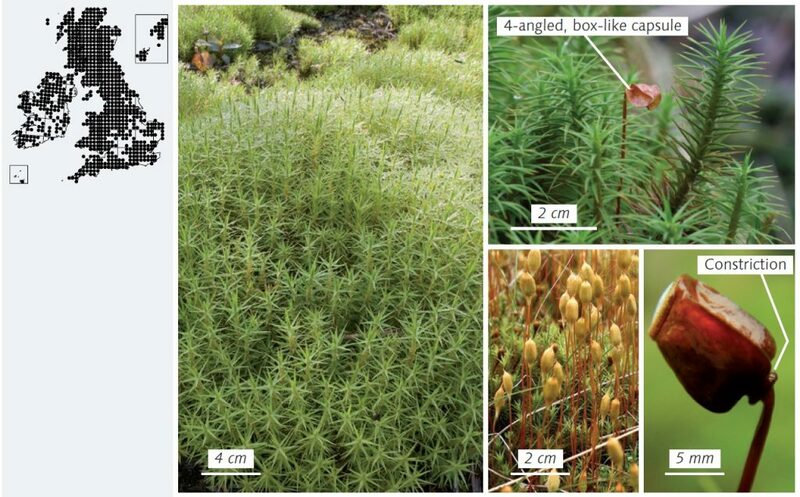 An initial hybrid bait set of 800 nuclear loci has come from collaborators Prof. Bernard Goffinet (University of Connecticut), Dr Matt Johnson (Texas Tech University), Dr Rafael Medina (Augustana College, Illinois), and Dr Yang Liu (Fairy Lake Botanical Garden, Shenzhen). As a first step, we are planning to make a small number of libraries from Polytrichaceae species, and run their post-capture DNA on a MiSeq in order to generate read data from the family that can be used to design a better-targeted Polytrichaceae-specific bait set. Most of the taxa in the study will be sampled from herbarium specimens.